Maxis and TM today signed a landmark 10-year agreement for TM to provide HSBB (Access) Services to Maxis. Telekom Malaysia Berhad (TM) and Maxis Broadband Sdn Bhd (Maxis) today signed a landmark 10-year agreement for TM to provide HSBB (Access) Services to Maxis. 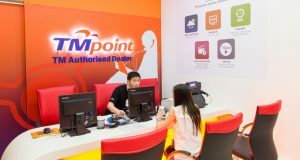 Under the terms of the agreement, TM Wholesale will provide high speed access connectivity via HSBB (Access) service to Maxis. 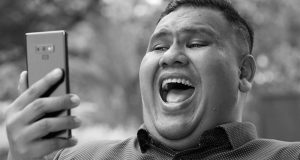 This will enable Maxis to offer to more than 700,000 homes as the count stands, and to 1.3 million homes by end 2012, bundled services integrating IP-based offerings. The signing of the service pact gives the leading integrated life services provider, last mile access to homes covered by the national HSBB project, to add to its existing 10,000km of optic fibre and over 7,000 mobile base station sites at present count. 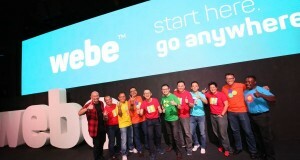 The landmark agreement enables Maxis to expand on its commitment to Malaysia, of seamless connectivity from any connected device – with an offering of rich content, relevant applications and creative solutions over its converged network in combination with access to TM Wholesale’s wide and growing high speed broadband network. The signing ceremony was witnessed by Deputy Minister of the Ministry of Information, Communications and Culture, YB Dato’ Joseph Salang Gandum. TM was represented by its Group Chief Executive Officer, Dato’ Sri Zamzamzairani Mohd Isa while Maxis was represented by YM Raja Tan Sri Arshad Raja Tun Uda, its Chairman. 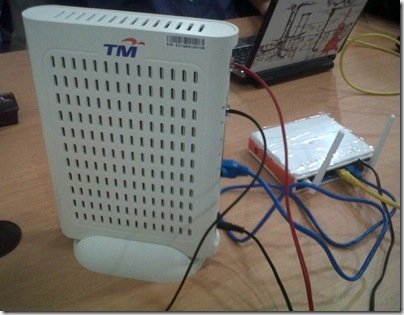 “Maxis is the first service provider to subscribe to TM’s HSBB (Access) service. This is a milestone agreement for TM, beginning a new era in industry collaboration, which further strengthens TM’s position as a neutral wholesale service provider. TM is keeping the HSBB promise of open access to all MCMC-licensed service providers,” said Dato’ Sri Zamzamzairani Mohd Isa. The potential IP-based services to be delivered over HSBB access include – but are not limited to – IPTV, VoIP, video-on-demand (VoD), high speed Internet, telepresence, eHealth, interactive TV and hosting services. Maxis currently offers to residents in Bandar Utama, Sierramas, Bangsar and Sri Hartamas, fixed fibre services over its FTTH (Fibre-to-the-Home) network including VoIP – and anticipates making a commercial offering of enriched Home Services over its FTTH rollout and HSBB* access after thorough network testing and development of original converged services. According to Dato’ Sri Zamzamzairani, the signing of this HSBB agreement with Maxis also reiterates TM’s commitment to boosting the HSBB ecosystem locally by getting providers to come on board and roll out value-added services to consumers. 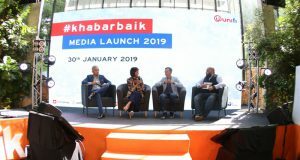 “HSBB (Access) Service offers a new world of opportunities and a platform that supports nation-building, given its potential to raise online engagement in the knowledge economy to the next level to benefit Malaysian end users – that is why we want as many partners as possible to come on board. 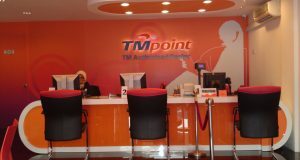 Currently TM is in talks with other service providers on the potentials of similar arrangements,” he added. The HSBB (Access) service offered by TM is open to all MCMC-licensed service providers who wish to offer IP-based services and applications to end users. The other two wholesale HSBB services offered by TM are HSBB (Transmission) Service which was made available in early 2009 to provide point-to-point connectivity via the HSBB network; and HSBB (Connection) Service providing IP-based Interconnection between TM’s network and a service provider’s network, which will be made available to the Industry in 2011. Signed in September 2008, the RM11.3 billion national HSBB project is a Public-Private-Partnership between TM and the Government of Malaysia to develop next generation high speed broadband infrastructure and services for the nation. TM is investing up to RM8.9 billion into the project while the Government is contributing RM2.4 billion on an incurred claims basis based on project milestones reached by TM.